A post from two years ago. spirits to the house of the living. Tables with favorite food and drink. all offered to the spirits. those who make no offerings. Who will decorate my grave? Who will bring me food? Who will talk to me? Cremation may be best for me. For more on the traditions of the Day of the Dead check out this website. ← PINK PLANE ON THE FLIGHT DECK! I love this one. Wonderfully done, especially with the great picture. That is a real compliment coming from you, Val! Thanks. Hi, just popped over from Social Bridge, thanks to Clare. Love the poem and I must say I love the whole thrust of your blog with the seasonal emphasis. Look forward to reading lots. Cremation is definitely for me! Thanks so much for choosing to follow my blog and taking time to comment! You’re very welcome. My pleasure. I like that custom also! I hope all is well with you. I’d leave you flowers and count myself lucky to have known you. Oh, I know you would visit me if it was an interesting cemetery! Thank you for the thought! Well, well, well you have rung the heavy bell with this one! I used to build Day of the Dead, Dia De Los Muertos altars every year. Large ones built with marigolds, planted for that specific purpose. Photographs, food offerings, gifts and an antique thurible from a church, burning frankincense and myrrh day and night. People who were not accustomed to this got the Heebie-Jeebies when they came over (much to my delight). As far as cremation goes, my undergraduate English professor (who is still my great friend) always says that her only chance of ever having a hot body is to be cremated, so there is always that! I so enjoyed your post. Please do tell me of the photograph. I am a fan of cemeteries and always stop and visit with the inhabitants and carry one conversations…..usually freaking out anyone present. My Mother’s birthday was November 4th and we often spent that time deep in Mexico and ALWAYS visited cemeteries there on Dia De Los Muertos. They were always filled with families visiting those past and having grand parties. We were always taken to each grave and introduced to the grave’s occupant. My Mother and I so enjoyed this every year. In Southern Mexico near Merida the gravestones are actually small houses or temples to house the food and gift offerings….just fantastic! Your post has brought all those wonderful memories back. But I do agree with you…….who will visit my grave….I fear no one. After I posted it I thought maybe it was a little too dark, but I did not mean it that way! Cremation just seems better. If I didn’t choose for cosmetic surgery in life, I certainly don’t want all that artificial stuff at death. Beside, I intend to use this body up until the end! Then I can have that smoking hot body at last. The Day of the Dead celebration is observed here. In Corpus Christi there was a huge street celebration in the downtown area. I can imagine experiencing it in Mexico as they really know how to celebrate and embrace the reality of death and remembering loved ones. Your altars must have been spectacular, Tin Man. I rather like the idea of a place in the home to honor loved ones other than simply displaying photos. 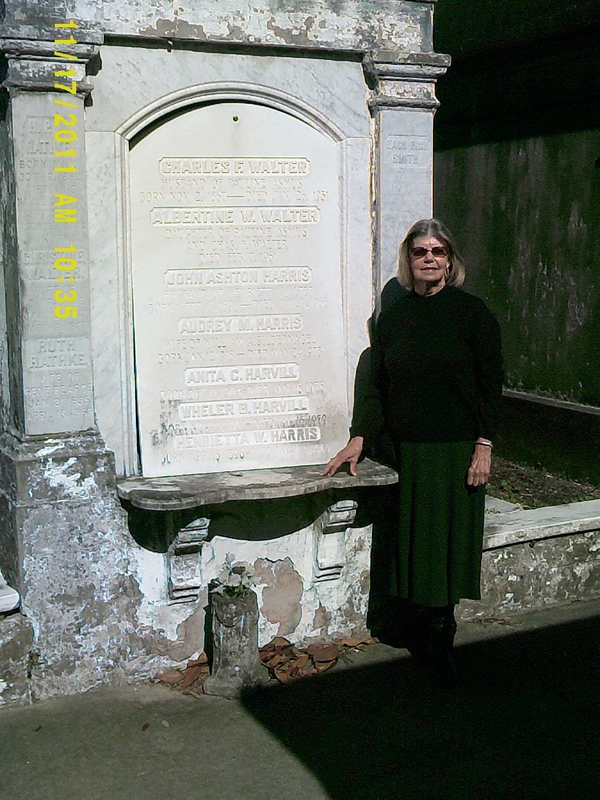 The photo was taken in New Orleans in 2011 at Lafayette Cemetery No. 1 in the Garden District of New Orleans.. I did a post on it. https://coastalcrone.com/tag/cemetery/ I don’t know what happened to some of the photos. Our son had visited the cemetery earlier in the year and found a Harvill and his wife buried there. They could be distant relatives on my father’s side but I have no documentation. It was great fun to speculate on a story of the couple buried there. We enjoy visiting old cemeteries when we travel. A relative on my mother’s side was a caretaker for a cemetery and we often visited when I was a child. I would follow him around in the cemetery and play among the graves. There were several generations of relatives buried there. I have a story on that that I may post. Thank you, Tin Man, for sharing your experiences! Another connection, dear friend! I know you and Augustine are enjoyed the cooler weather. Wow. You certainly tackled a difficult subject with grace. I love that we live close to Mexico. I liked Joss’s comment and it made me think of what “ofrenda” I would be place at an altar. Yes, many customs have spilled over from Mexico. I grew up 60 miles from the border so Mexico and its cultures were common as neighbors. Now I live about 140 miles from the border. Death seems closer as I age and it is more acceptable or rather more unavoidable! But I am not quite done living! As always…thanks for the comment. I missed this one… and so enjoyed your poem… 🙂 so many skirt around death and dying.. While I still have lots of living to do… I already told my family where I wish to be.. and its not in any grave. 🙂 I don’t wish anyone visiting with flowers.. 😉 Maybe a picnic will be in order by some water as my ashes are cast to the wind.. 🙂 Now for a lighter mood..
Wishing you a wonderful week 🙂 With lots of Love and Laughter in it..
Oh, I have told my family what I want also. Scattered ashes in a special place will be fine for me. I have a grandson and great-great niece that might be willing to do the job. I am not done living either! We might as well laugh a little. Thanks for sharing your thoughts. i enjoy the descriptions of foods and incense and flowers in the first stanza, but the second stanza with the three questions comes across as direct and powerful. What a pleasure to have your read one of my poems and comment positively! Reading some of yours has inspired me to write more poetry. I seem to write only when my use insists. Thank you so much for taking time to read and comment! That’s a very moving poem! It’s odd how differently people view death. Personally, I think cremation and sprinkling the ashes makes a lot of sense, but for others, having a grave site to visit is important. Still, there is something so sad about old, abandoned cemeteries! Thank you, Ann! It was a post from two years ago – don’t re-post often. 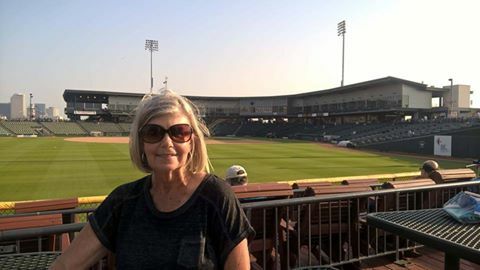 My mother would drag us to East Texas every year and visit a cemetery where so many relatives were buried that visiting them just seems normal to me. I agree with you that old neglected cemeteries are very sad but I enjoy visiting cemeteries. Husband and I have chosen cremation and the children are fine with that. We’ll probably be scattered on the old family ranch. Cheers! We were in San Miguel de Allende back in 1996, during Day of the Dead and were the only tourists to visit the cemetery along with thousands of locals. Yes, thousands. I remember following families carrying large bouquets of flowers. Cemeteries are not foreign to me because as a little girl, I used to visit them frequently with my parents who lovingly tended the family graves. I understand what you’re saying when you ask in your poem, ‘Who will decorate my grave, who will bring me food?” In today’s fast living culture, we’re all too busy to attend to what was once common to do. Thank you, Diana! I don’t write as much poetry as I used to for some reason. How wonderful to have been able to celebrate the Day of the Dead in Mexico! It is observed some here in Texas because of the Mexican influence. My mother always took me to the cemeteries to visit. She and my father are buried in a cemetery about an hour away so I visit a couple of times a year to leave flowers. I don’t think anyone else in the family visits. Fantastic photo and deep sentiments shared by many. Cremation is becoming an increasingly popular choice for financial and practical reasons. I occasionally visit columbarium gardens and I like the concept. Thanks, MW! My favorite columbarium is in San Francisco and still personal. Some of the niches have personal things displayed. We certainly spend too much money on funerals, in my opinion. I plan to continue to use up this 72 year old body and see no need to preserve it! A pleasure to have you visit. Cheers!